What can you say about cases full of baked dog treats that look so good you'll want to eat them, too? Three Dog Bakery, just off the Sonoma Plaza, is a "must visit" destination that will prove as rewarding for you as for your pet. Bulk treats and other merchandise available. The town of Sonoma gets a bad rap because of “no dogs on the plaza” rule, but the restriction, which applies only to the central square and the mission and buildings associated with Sonoma State Historic Park on one side, isn’t really as bad as it seems. You and Fido are free to walk the square’s perimeter, just so you stay on the other side of the street. The checkered sidewalk tables at the Swiss Hotel, on the plaza’s northwest corner, are a great place for the two of your to linger and watch the world go by. 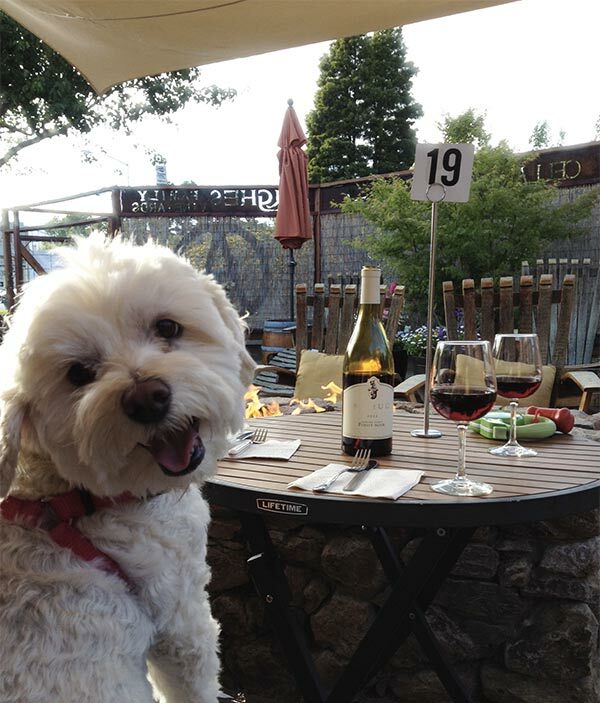 Casual Italian fare and pizza from a wood-burning oven are the specialties, and you’ll likely exchange pleasantries with passers-by admiring your four-legged companion. Around the corner, on First Street, the very sunny-feeling Sunflower Caffe allows dogs at its sidewalk tables and in the more private garden patio area out back. Basque Boulangerie Cafe, also on First and facing the plaza, is a bakery/deli that feels lifted straight from the streets of Paris. 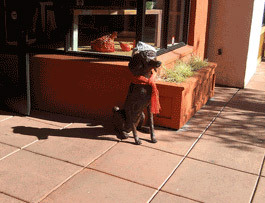 Just as in the City of Light, your dog is welcome to join you at a teeny outdoor table as you sip your espresso or enjoy your pastry, soup or sandwich. So what does Max get out of this? A visit to Three Dog Bakery, just off the square, will enthrall you both—in fact, it’s hard to say who will enjoy it more. Three Dog’s bakery cases are filled with wholesome, oven-baked treats that look so good you’ll be tempted to taste them, too. In back is the “Bulk N Bite Buffet,” where your pooch can sniff out his favorites and you can fill a bag to take home.